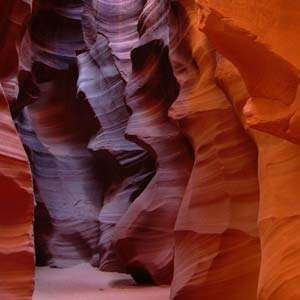 Marvel at the West's premier natural wonders on this multi-state vacation. 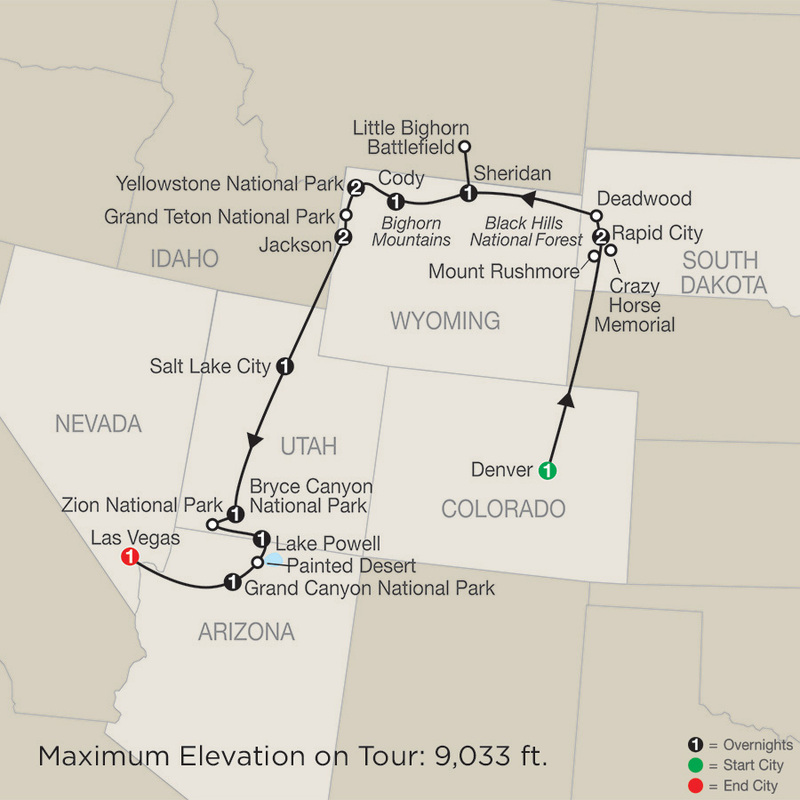 Your National Parks tour starts in Denver and ends in Las Vegas with overnights along the way in Rapid City, Sheridan, Cody, Yellowstone National Park, Jackson, Salt Lake City, Bryce Canyon National Park, Lake Powell, and Grand Canyon National Park. This vacation through the West’s premier national parks offers all of this and more. Wait until you see the breathtaking scenery that cannot be found anywhere else. Enjoy the spectacular fall colors of the West on our special Fall Foliage departures: September 13-September 28 (if Mother Nature permits). After an orientation tour of Rapid City, visit CRAZY HORSE MEMORIAL, built in honor of the fearless Sioux chief whose fame is derived from the Battle of the Little Bighorn. Then, on to MOUNT RUSHMORE NATIONAL MEMORIAL, featuring the likenesses of U.S. presidents—Washington, Jefferson, Lincoln, and Roosevelt—carved on the face of a mountain. Maybe stroll along the Presidential Trail for more intimate views, or visit the Information Center. This morning, enjoy a drive through BLACK HILLS NATIONAL FOREST and experience the area’s colorful history on a guided tour of DEADWOOD, once a wild gold-mining town, and hear stories of legendary Wild Bill Hickok and Calamity Jane. Afterward, visit TATANKA to learn “The Story of the Bison” and experience the richness of the Lakota people. Continue through the Black Hills to the cattle town of Sheridan at the foot of the Bighorn Mountains and enjoy dinner at a local restaurant. Journey this morning into southern Montana to visit LITTLE BIGHORN BATTLEFIELD NATIONAL MONUMENT, the site commemorating one of America’s most famous battles. Tour the battlegrounds where Custer was defeated by approximately 7,000 Lakota, Cheyenne, and Arapaho warriors, and visit the museum. 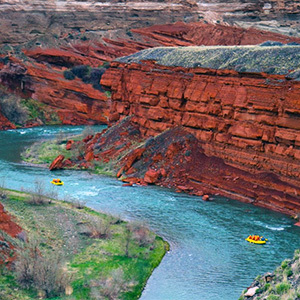 Afterward, continue your scenic drive through the Bighorn Mountains, arriving in Cody with time for an optional float trip on the Shoshone River. This morning, visit the BUFFALO BILL CENTER OF THE WEST, a fine museum of historic weapons and Western art. 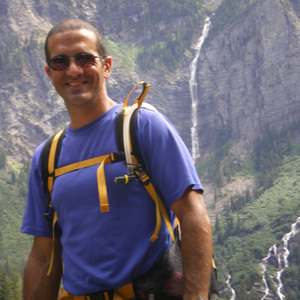 Then, continue through Shoshone National Forest to YELLOWSTONE NATIONAL PARK, established in 1872 as the world’s first national park, where wild animals roam freely in vast meadows and forests. Enjoy several photo stops on the way to your hotel, including world-famous Old Faithful Geyser. SPECIAL FEATURE: Enjoy two nights inside Yellowstone National Park. Each lodge has its own unique setting and atmosphere. Lodges featured are the Old Faithful Inn, Lake Yellowstone Hotel, Old Faithful Snow Lodge, Grant Village, and Canyon Lodge. Specific lodges will be confirmed in your documents. Spend the day exploring Yellowstone. Travel along Grand Loop Road to Fountain Paint Pot to see the bubbling mud. Continue on to the Grand Canyon of Yellowstone for magnificent views of Yellowstone Canyon and the spectacular Lower Falls—almost twice as high as Niagara Falls! Next, stop at Mammoth Hot Springs and take a short trail walk among the steaming limestone terraces. Journey south this morning into breathtaking GRAND TETON NATIONAL PARK. Visit beautiful glacier-fed Jenny Lake at the foot of the rugged spires for a delightful walk along the shore. Enjoy a freshly made HUCKLEBERRY SHAKE while admiring the beautiful surroundings. Then continue to the all-Western town of Jackson. This evening, travel by horse-drawn covered wagons into Cache Creek Canyon and experience dinner at the BAR T-5 CHUCKWAGON COOKOUT and Wild West show. Feast on slow-cooked chicken made in traditional Dutch ovens, along with other local specialties. Enjoy an entire day at leisure to enjoy this spectacular playground. Perhaps choose an optional float trip along the Snake River or stroll along the downtown boardwalks and enjoy a drink at one of the swinging-door saloons. Today’s journey continues alongside some of Wyoming’s most beautiful mountain ranges into Utah, home to five national parks. Arrive in Salt Lake City, founded by Brigham Young in 1847. Enjoy a sightseeing tour of the capital city and its historic monuments before arriving at your hotel. Today, travel through sagebrush landscape to BRYCE CANYON NATIONAL PARK, a national park with a beauty all its own. Take a leisurely drive with photo stops to capture the bright red, yellow, and pink pillars called “hoodoos.” The balance of the day is at your leisure, and your overnight is at the entrance to Bryce Canyon National Park. Travel to ZION NATIONAL PARK with its dramatic landscape of sculptured canyons and soaring cliffs resembling temples and cathedrals. Your sightseeing tour gives you the chance to experience the park up close and personal. 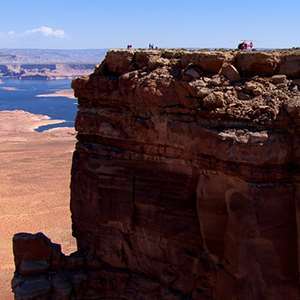 Then, continue into Arizona and the town of Page, nestled on the shores of Lake Powell. This morning, you may wish to join our optional flight over Monument Valley for a bird’s-eye view of the red-sandstone monoliths, made famous by many Western movies and TV shows. Afterward, cross the Painted Desert with its ever-changing colors, and catch your first glimpse of the world-famous GRAND CANYON NATIONAL PARK, one of the Seven Natural Wonders of the World. Afternoon arrival allows free time to explore the canyon rim on your own. Be sure to take an evening stroll to savor the magnificent sunset. SPECIAL FEATURE: Your hotel tonight is located inside Grand Canyon National Park, a rare opportunity for great views and a significant extra by traveling with Globus. 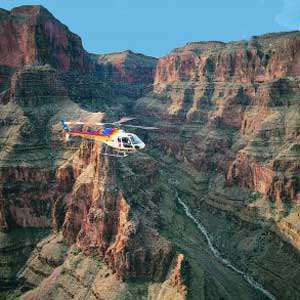 For a once-in-a-lifetime experience, take our optional flightseeing tour over the Grand Canyon. Then, travel on part of legendary Route 66 to Las Vegas, one of America’s most famous cities. Enjoy a sightseeing tour while en route to your resort hotel, located in the heart of the “Strip” for easy access to all the mega-casinos and amusement parks. This evening, your Tour Director hosts a special farewell dinner.